Home + News + Storage + How Should Chemicals Be Stored? 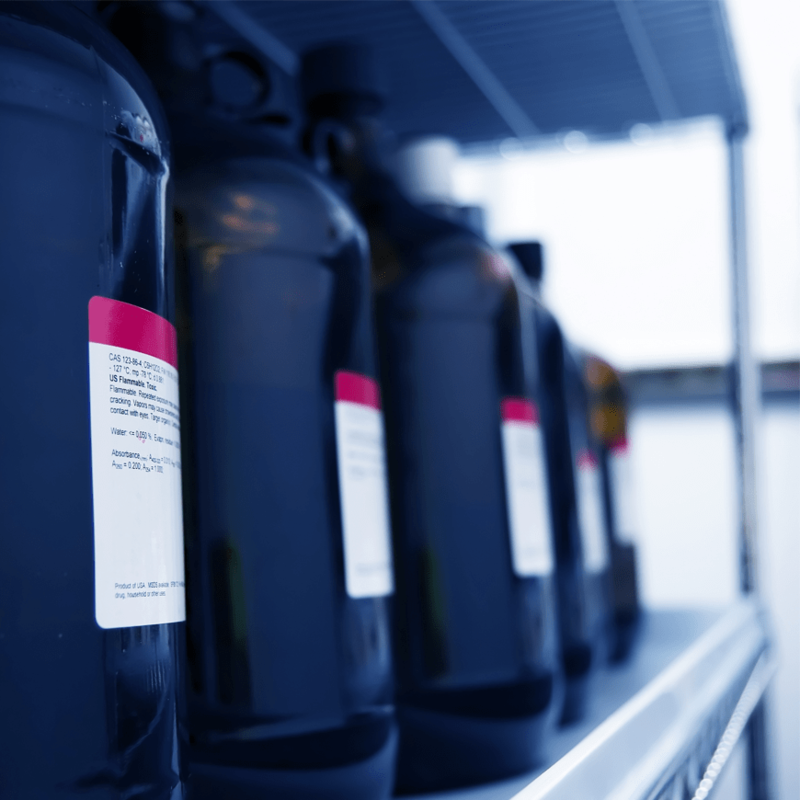 How Should Chemicals Be Stored? Many chemicals used in everyday life are flammable or hazardous to humans. Cleaning materials contain ignitable solvents. Pool chemicals contain acids that cause chemical burns. Labor laws (OSHA) and fire codes (NFPA) regulate chemical storage in commercial buildings and industries. Whether they are paints, oxidizers, oils, additives, hazardous materials or other hazardous chemicals, safe chemical storage is paramount in these contexts. So how should chemicals be stored? Read below for chemical storage tips from our safety experts. OSHA and NFPA categorize flammable chemicals by their flashpoints. Any hazardous chemical that falls into their classifications has strict requirements. They specify volume limits on the amount of chemical and the type of storage. Safety cabinets for flammables feature fire-resistant construction to protect the contents from fire. Different chemicals can react with one another. Some reactions are completely harmless. Others change the properties of the chemicals and creates new hazards. Oxidizers promote fires by releasing oxygen. Keep incompatible materials separate from each other to prevent incidents. Failure to meet OSHA and NFPA codes for chemical storage puts employees at risk. It may also result in fines. OSHA inspectors can cite organizations for violating requirements, often leading to financial penalties. Willful or repeated violations could cost thousands of dollars. Justrite supplies a range of safety cabinets that meet OSHA and NFPA requirements for flammable or hazardous chemicals. Cabinets vary in size from the 90 gallon Sure-Grip® EX Flammable Safety Cabinet to the 20 gallon Sure-Grip EX Wall Mount Flammable Safety Cabinet. Browse all safety cabinets here to find your chemical storage solution.